*This page contains affiliate links which means that if you click on one of these links and buy a product, I may earn a small commission at no additional cost to you. Rest assured that I only recommend products and services that I love from companies that I trust. If you would like to submit an article, product or service to be included in this list, please visit the Let’s Work Together page for more information. The ultimate resource for those suffering from a maternal mental health disorder. The PSI offers a toll free warmline that you can call (or TEXT!) if you need someone to talk to. They can also help you find local support groups, and offer resources for fathers as well. It should be the first place to turn if you, or someone you love, is suffering from a maternal mental health disorder. Therapy is a great treatment option for women with postpartum depression. As mothers, it can be difficult to find the time to get to therapy, and with the stigma of maternal mental illness many women would prefer to do it as privately as possible. Online therapy is a great option for those with limited schedules and who want some anonymity in their sessions. Here you can find information on how to get involved in raising awareness for maternal mental health in your own community. They are responsible for fundraising, conferences and community initiatives to help aid mothers suffering from mental health disorders. As a Manitoba-based blogger, it’s important for me to share local resources and support groups. For any mothers living in Winnipeg or rural Manitoba, here you can find the local crisis phone numbers, emails and information about local initiatives and support groups. This set of e-books is designed to help you learn more about how depression works in order to conquer it permanently. Read my recent review of this treatment plan which includes a free 20 page e-book. This is a FREE research study being conducted to help determine the cause of maternal mental health disorders and create an action plan to treat them. All women who have suffered from postpartum depression in their lives, whether officially diagnosed or not, are encouraged to apply to be part of this research study. It’s just a matter of downloading an app and answering a few questions. If selected, you may be asked to submit a DNA sample. The official date for this year’s World Maternal Mental Health Day is May 1 2019. While it’s a topic that should be discussed all the time, WMMH day offers an opportunity for organizations around the world to stand united in their fight against the stigma of maternal mental health. Help spread awareness about maternal mental health by using the hashtag #MaternalMHMatters. 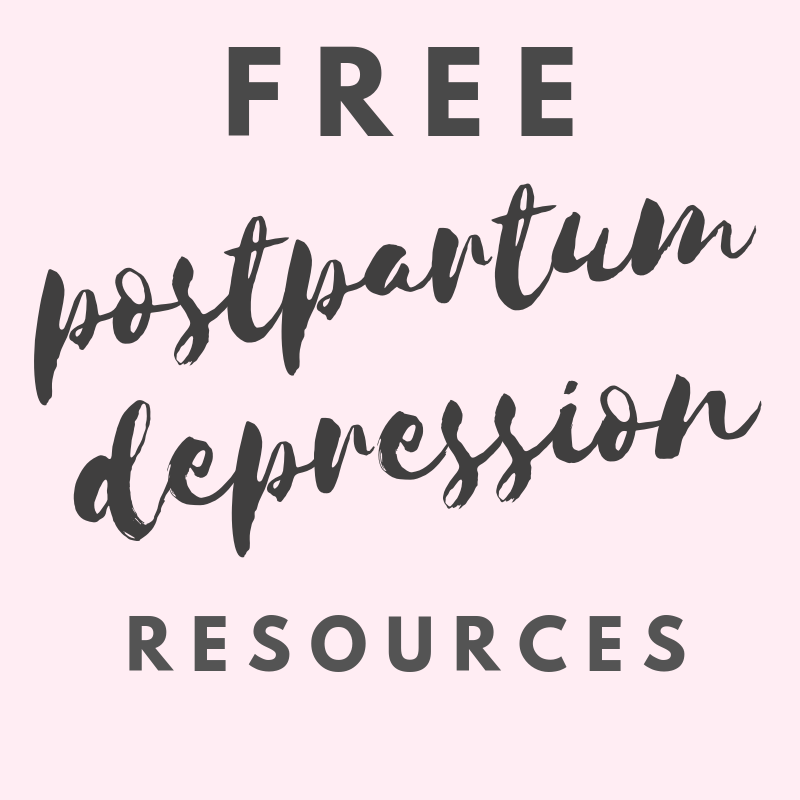 Here is a comprehensive guide to maternal mental health disorders from Parenting Pod, written by Dr Carla Brock MD FRCPI PhD. This self-care course from Peace of Mom will teach you how to implement self-care into your busy life. Here you can find a huge variety of different sleep consultation plans, depending on how much help you’re looking for. If you’re not sure exactly what kind of help you need, then I recommend signing up to be a member. In the members area, you can access all of The Baby Sleep Site’s e-books and other exclusive resources, plus you get a 20% discount towards any sleep consultation package. Check out my review of The Baby Sleep Site for more information! Dana Obleman is a professional sleep training consultant who has helped many families establish good sleep habits in kids of all ages. The program offers a wide variety of personalized help, including videos, workbooks and e-mail support. A good mattress can make a world of a difference, especially for postpartum moms. But purchasing a new mattress is a tough process, expensive and a long term commitment. The Nectar mattress is the only one that comes with a 365 day Free Trial period – so you don’t need to worry about any of that. Stacey Stewart is a lactation consultant and mother of three (including twins!). She runs this awesome ONLINE breastfeeding course that you can enroll in for less than $20. The course will take approx. 90 minutes so it’s not a huge commitment for a busy new mother, but also comes with a money back guarantee if it doesn’t help you find breastfeeding success! This site is run by two moms and offers tons of great breastfeeding articles (as well as pregnancy and sleep training). Perhaps one of the best tools for any breastfeeding mother is their downloadable Breastfeeding Handbook which basically has all of the information you could possibly need. Also available is a FREE 5 Day Breastfeeding E-Mail Course. The name says it all! These boxes aren’t bought on a monthly subscription, but rather you can purchase one online and have it delivered as a gift for any special mom in your life. There are a few different boxes that suit different price ranges and interests, and also a surprise box worth over $100! a subscription box designed specifically for moms! Each box is uniquely put together by a different mom blogger every month, who shares her favorite products from all kinds of different categories – beauty, fitness, treats and more! The ever-convenient period box! One less thing to have to worry about in the busy life of a mom – this subscription box comes with organic pads and tampons and other helpful products to get through that tough week every month. How excited would your kid be to get a treasure box in the mail just for them!?! These boxes come with toys and activities to encourage playtime based on your child’s age and developmental stage. If you have a kid that loves to help in the kitchen then this is the perfect box for them! The Kidstir box encourages healthy eating habits and independence in the kitchen with their boxes filled with cooking tools, step by step recipes, grocery lists and more! The perfect subscription box for expectant moms! Sign up for a 3, 6 or 9 month plan and receive a box full of products to help moms feel pampered and excited throughout their pregnancy. By entering a due date, the boxes are tailored for each stage of pregnancy.